Arun Jaitley is an Indian politician and the current Finance Minister and Minister of Corporate Affairs in the Government of India. One of the prominent members of BJP, Jaitley has served as a member to the Board of Governors of Asian Development Banks. He is a senor advocate in the Delhi High Court and a former Additional Solicitor General of India. Jailtley has held the cabinet portfolios of Commerce and Industry and Law and Justice. He has also served as the Minister of Defence for a very brief period. Jaitley has been the Leader of Opposition in Rajya Sabha from 2009-2014. 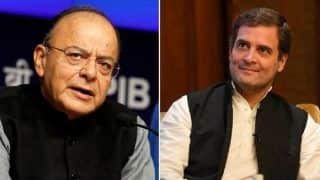 Jaitley served as the General Secretary of BJP in 2002 and then in 2004 and he resigned from this post in 2009 after being appointed as the Leader of Opposition in Rajya Sabha under the partys principle of One Man, One Post. He has also been the Vice President of BCCI. 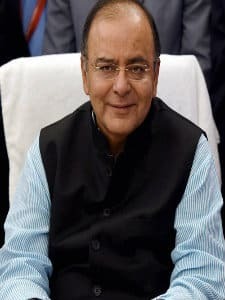 Known as an eloquent speaker, Jaitleys political career is largely non controversial.Born on 28th December 1952 in New Delhi, Arun Jaitley was born in a family of lawyers, social activists and Philanthropist. His father Maharaj Kishen Jaitley was a lawyer and his mother Ratan Prabha was a housewife and social activists. The family resided in Naraina Vihar, New Delhi. After completing his schooling from St. Xaviers College in 1969, he graduated from Shree Ram College of Commerce in 1973. Later he did his LLB from University of Delhi in 1977. From childhood itself, he was very passionate about studies, debates and cricket. 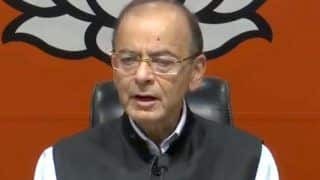 Jaitley had a great amount of interest in law and politics and his political journey began as an Akhil Bharatiya Vidyarthi Parishad (ABVP) student leader and then as the President of the Students Union of Delhi University in 1974. Jaitley was influenced by the activities of Janata Party and during the Emergency period, he was under preventive detention for 19 months in Tihar jail. He was also a prominent leader of the 1973 movement against corruption launched by Raj Narain and Jayprakash Narayan. He created awareness among the general public about the misgovernance and corruptions of the high officials. He was then appointed as the Convenor for the National Committee for Student and Youth Organization. He was appointed by Jai Prakash Narayan. 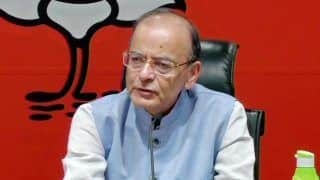 Jaitley was also the convener of the Loktantrik Yuva Morcha in 1977 and was appointed as the president of the Delhi ABVP and All India Secretary of ABVP. After being engaged with ABVP for a long period, Arun Jaitley joined BJP in 1980. A short time after he joined BJP, he was made the President of the youth wing of the BJP. In 1991, he became the member of the National Executive of BJP. 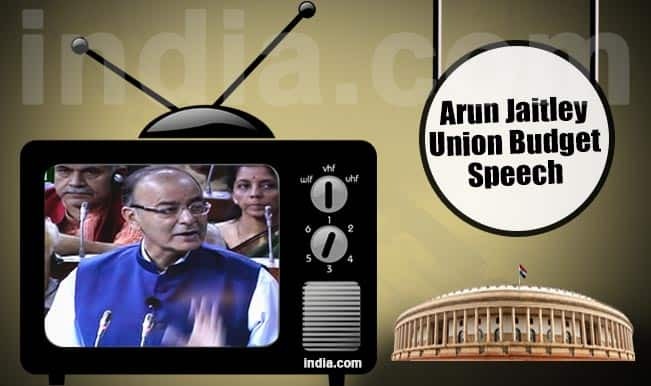 In the 1998 session of the United Nation General Assembly when the bill against drugs and money laundering was introduced, Arun Jaitley represented the session as the delegate on behalf of Government of India. 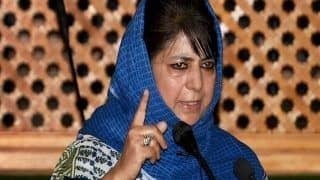 Just before the 1999 elections, he was appointed as the BJP spokesperson and after the elections he took over as the Minister of State, Department of information and broadcasting as well as he headed Ministry of Law, Justice and Company Affairs. 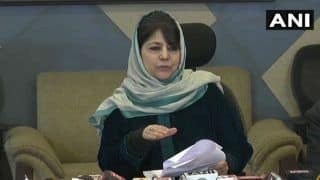 He further became the Minister of State in the Council of Ministers and became the in charge of the newly formed Department of Disinvestment. 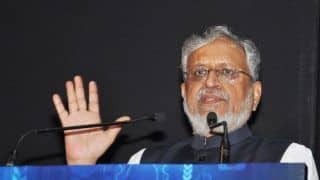 After the bifurcation of the Ministry of Surface Transport, he was appointed as the first Minister of Shipping in 2001.he then left the cabinet in 2002 to become the General Secretary of BJP in July 2002 and also worked as the National Spokesperson till January 2003. 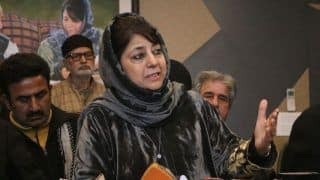 He joined the Union Cabinet back in 2003 as the Minister of Commerce of industry and law and Justice and functioned at this position till May 2004. He was re elected as the member of Rajya Sabha in 2006 and in 2012 from Gujarat marking his third term as a member of Rajya Sabha. 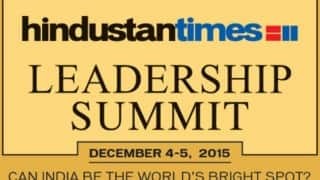 He was the Leader of Opposition of Rajya Sabha on 3rd June 2009 by Lal.Krishna Advani. 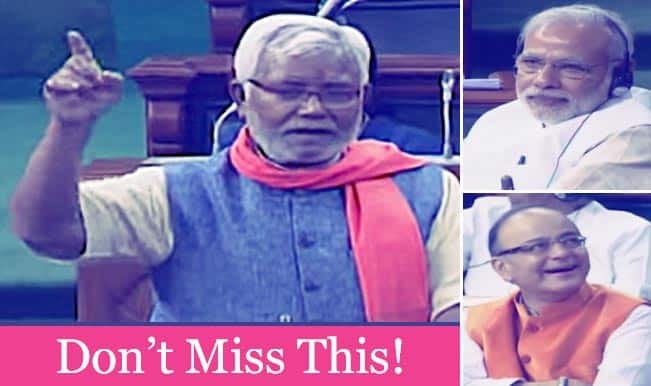 As the Leader of Opposition in Rajya Sabha, he played a vital role in the Women Reservation Bill as well as daring the Anna Hazare movement supporting the Jan Lokpal Bill. Being in the party since 1980, Jaitley never contested any direct election. 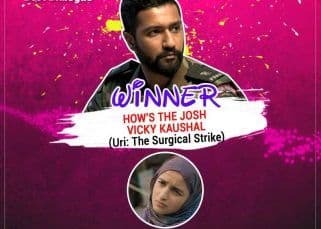 In 2014, he contested elections for the first time as the BJP candidate for the Amritsar seat of Punjab replacing Navjot Singh Sidhu. But he lost the election to Amrinder Singh from Indian National Congress. He currently is a member of Rajya Sabha from Gujarat. 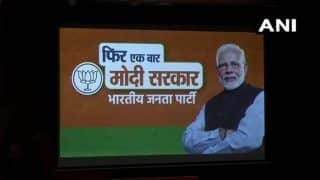 However, in the 2014 general elections, the BJP led NDA government came into power and on 26th May 2014, Arun Jaitley became the Finance Minister. 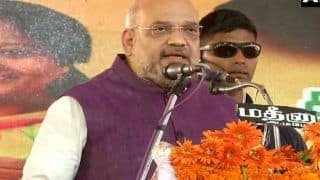 He was also handed the responsibility as the in charge of Defence Ministry but later, the Defence Ministry has been transferred to Manohar Parrikar, former Chief Minister of Goa. 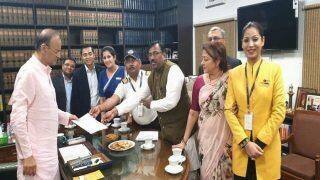 Jaitley also serves as a member to the Board of Governors of Asian Development Bank.Arun Jaitley is married to Sangeeta Jaitley and has two children Sonali and Rohan and both are lawyers. 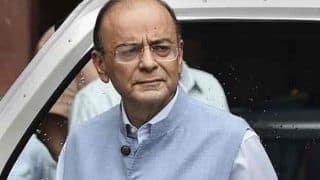 Jaitley loves the game of cricket and because of his love for this sport, he was appointed as the Vice President of BCCI but he later resigned from the post after the IPL match fixing scandal came into light. 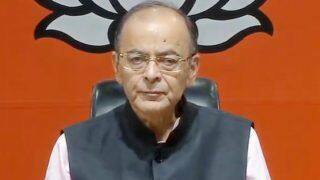 Jaitley was also the President of Delhi District Cricket Association (DDCA) but he resigned from the post after a service of 13 years to concentrate on politics. 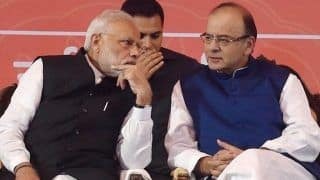 Jaitley has a good record in DDCA and has made great contribution in improving the standards of the stadiums in Delhi and the stadiums improved under his presidency was rated as one of the best from BCCI. Arun Jaitley has six siblings and he is uncle of actors Riddhi and Akshay Dogra.